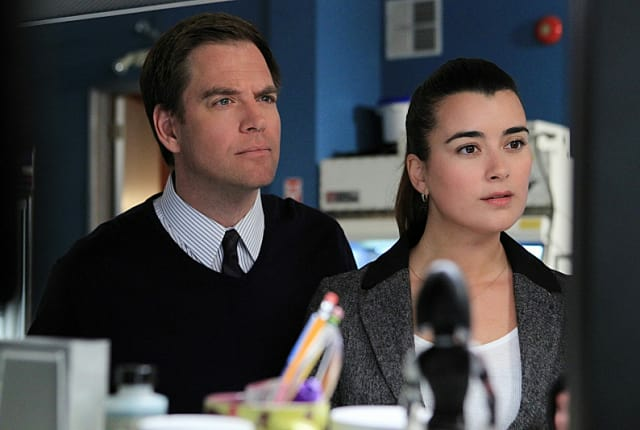 Watch NCIS Season 10 Episode 18 online via TV Fanatic with over 8 options to watch the NCIS S10E18 full episode. Affiliates with free and paid streaming include Amazon, iTunes, Vudu, Netflix, YouTube Purchase, Google Play, CBS All Access, and CBS All Access (Via Amazon Prime). The wife of a Marine who specialized in K-9 bomb detection urges the NCIS team to investigate the recent death of her husband in Afghanistan. Ziva: It's a bit more final? Ziva: Well then I suggest you take your time, Director. Hire a nanny or do not hire one. But do not let anyone tell you when you're ready or should be ready to move on. That is entirely up to you. Vance: You may be on to something. Ziva: I have some experience. Vance: Yeah? Where were you a week and a half ago? Tony: You know, I've been thinking about getting a dog. Gibbs: He's not a dog. He's a Marine. NCIS Sneak Peek: Made in the USA?